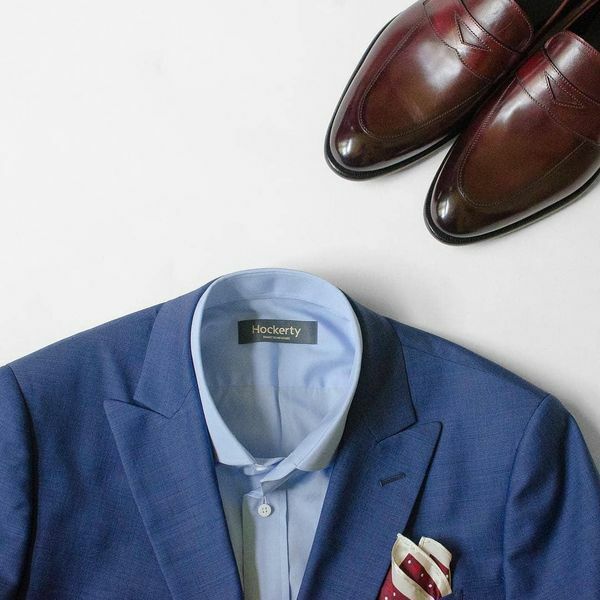 Find all the latest trends in tailor made fashion, reviews and tips to design the style that fits you best at the best price. Hockerty is adjusting the pricing to more accurately reflect our corporate and social responsibilities. Our tailors, working in our factory in Shanghai, have fair contracts and enjoy medical and other comprehensive benefits for themselves and their families. They don’t have just a job; they have careers. Our commitment to sweatshop-free labor practices is a long-term investment and a demonstration that an ethical and sustainable business is viable. Men’s Trench Coats are growing in the fashion stakes and are set to be the most popular of men’s raincoats this winter. Starting with this classic coat, the men’s trench coat is here to stay for another year. Certainly, this flair of coat never give the impression of going out of fashion anytime soon. Because of that, men can wear them from year to year, making them the ideal choice for anyone with a limited budget. Trench coats are ideal for the gentler seasons: autumn and spring. They are cozy enough to keep you from the cooling breezes of fall, yet casual to wear in the warming breezes of spring. 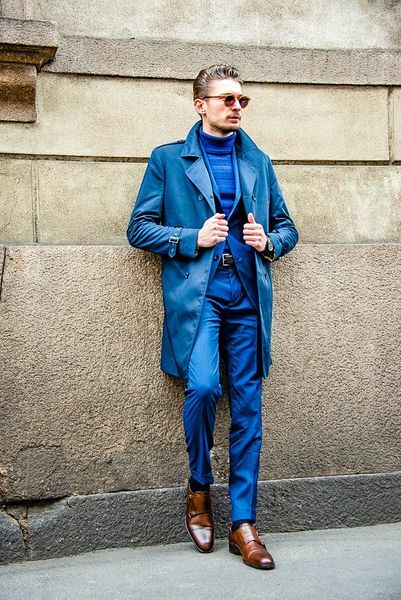 Trench coats for men come in a variety of lengths, which all look amazing, so individual preference should determine the length of the coat. Brown is the most fashionable color this season, but if you want to be different, then go navy. This will feature heavily in the upcoming fashion. 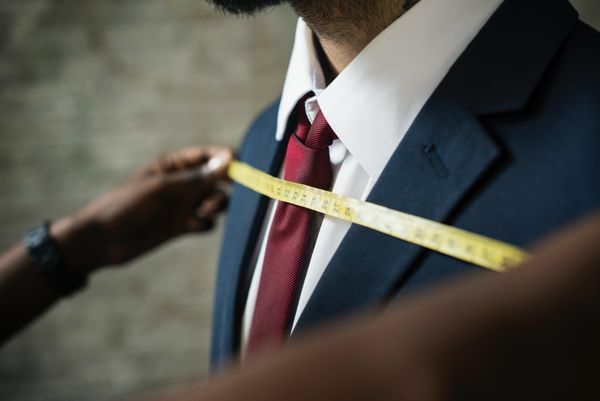 How to measure yourself - Are you still not sure how to read a tape measure and how to measure waist, hips, chest and shoulder width? Then, it is time to read and watch our "How to Measure Yourself" Guide. All you need is a friend, a tap measure, and a few minutes. Vintage Tweed Suits, checkered Pattern, Heavy wool dark Coats and penny collar shirts. To dress like the guys from Peaky Blinders is classic and timeless. Get inspired by our Peaky Blinders apparel and get your own Peaky Blinders look. 1920s Outfits are super trendy. 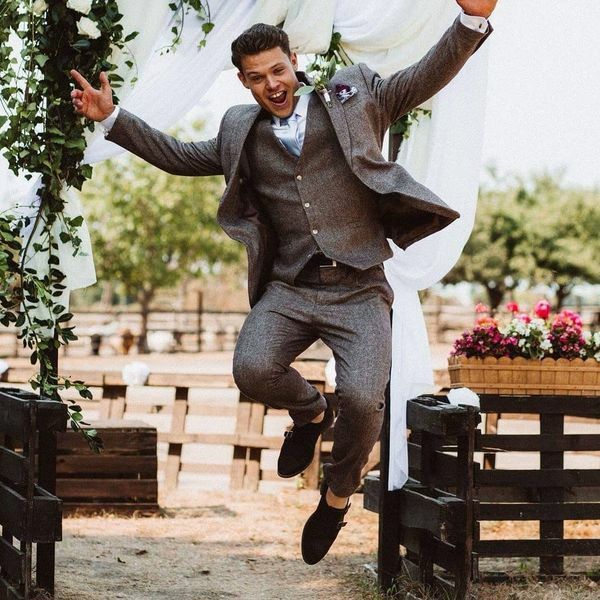 Wear the look of Peaky Blinder at a wedding or the next party.